Hi people, fairly new to the site, love all the tips and great advice throughout the site. 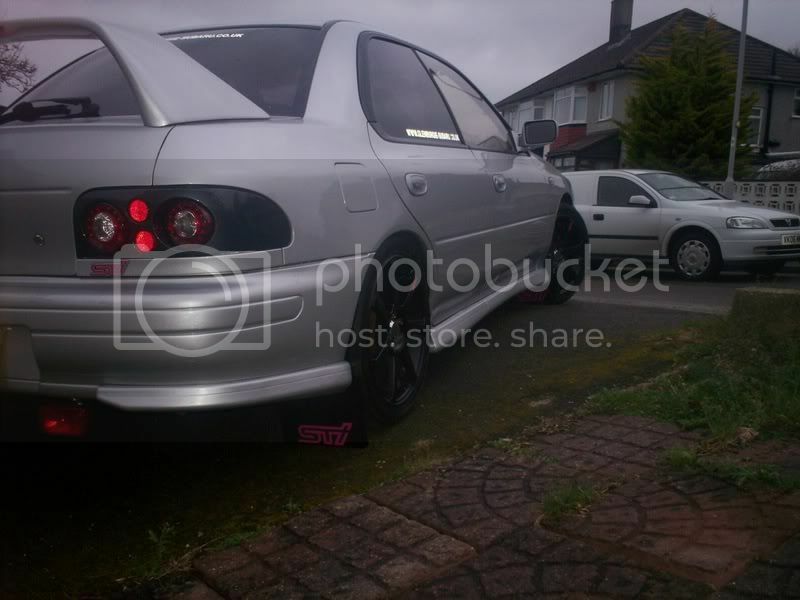 Im in some need of some help with a colour choice of mudflaps on my '95 plate wrx sti in (406) silver. Im stuck on colour choices that will look right, the car has the pink sti badges etc and black wheels so i was thinking black flaps with pink sti decals. What other choices would look right on a silver impreza and do you think my choice is right? Last edited by stiimpreza1984; 01 Jan 2009 at 01:34 AM. Thanks for that, did help alot tbh, not easiest to choose the right colour as can make it look ott but think im going for the black with pink sti logo, hopefully will match my theme. Yeah thats where im getting them from so hopefully as good as they look. Lol i know what you mean, nothing is ever easy like they say it is, like you say, it does say they are the correct shape ready for easy fit so touch wood they will be. Got ours from scoobyworld they are a great fit and great quality. Although ours are blue with WRX on them - they do the ones you are after too. Thanks for that link mate, yeah they look identical, should be a nice touch to the car to keep it cleaner and give it more of the rally look. Well managed to get the mudflaps fitted over the weekend, they were abit fiddly, had to bend the brackets quite abit and use more fixings than stated in the instructions but hey, there on. Only got 1 pic at the moment as its not stopped raining and been working til late all week so sorry if the quality is abit poor as it was the best i could take in the great british conditions lol.